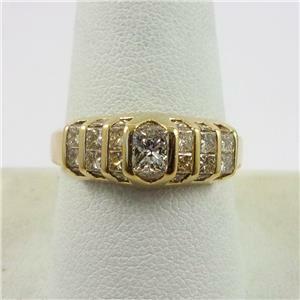 This beautiful piece is made of solid 14K yellow gold and features 1.8 carats of sparkling princess and trillion, genuine, natural Diamonds. 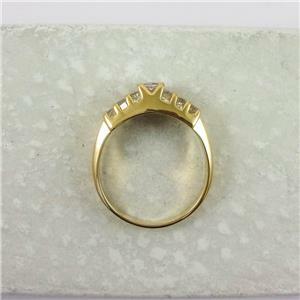 The center stone is 0.30 carats, and is of I2 clarity (inclusions can be seen if you look closely at the enlarged photos). 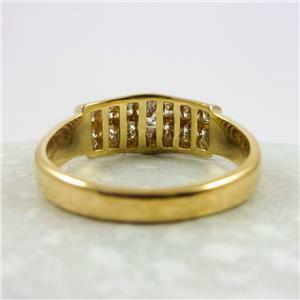 The remaining stones are SI1 clarity. 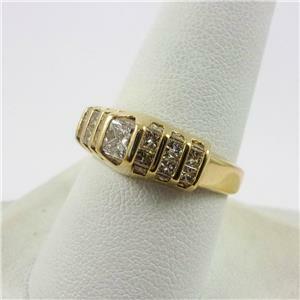 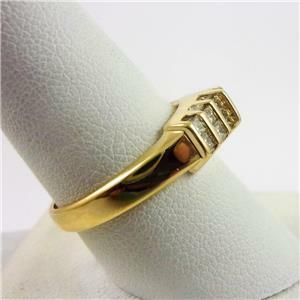 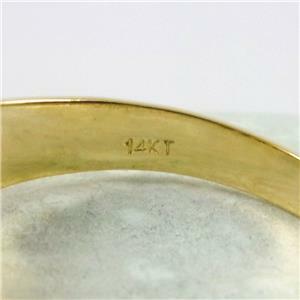 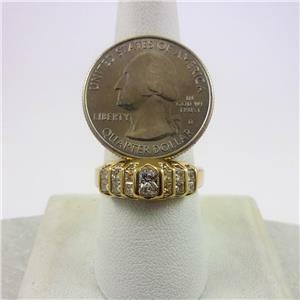 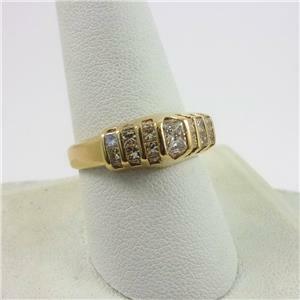 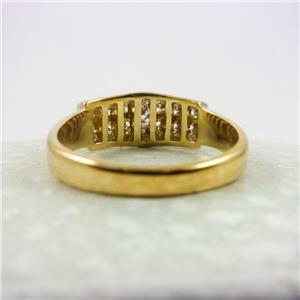 Overall the ring is in great condition and has been professionally cleaned prior to listing.